Look! Here is my latest project... it is not woven... oh my it's knitted! I did not knit until I was 50. No knitting until I was 50 had been my mantra for many decades. 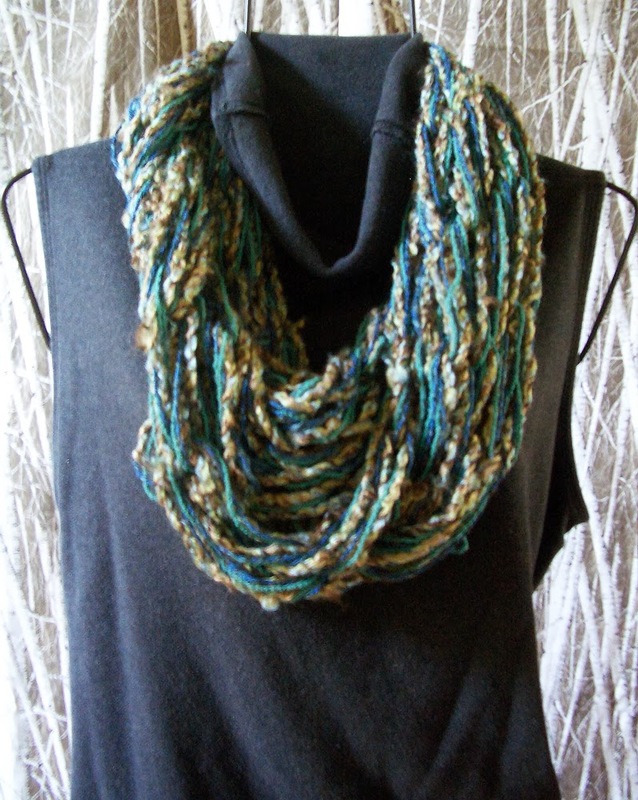 I actually started blogging to document my tumbling down into the rabbit hole of knitting. Would I change from a weaving diva to a knitting knut? Anyway, one of my face book friends said she had watched a fun video on arm knitting which for some reason I watched. Check it out if you haven't seen it done before. The instructions are right on. My first attempt at arm knitting took about fifty minutes with the TV on and included multiple watching of the YouTube video. Once I got knitting it was quite a hoot! Knitting without knitting needles. You just move the yarn from one arm to the other and end up making these huge loops. 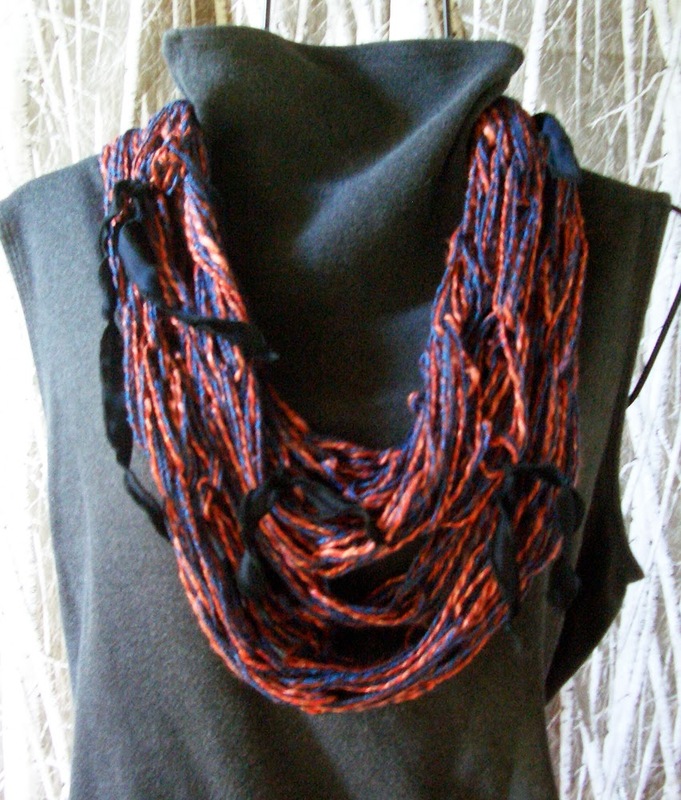 I didn't make my scarf as bulky as in the video. Wearing anything that thick in Southern California will bring on a fever. After completing one I was hooked. 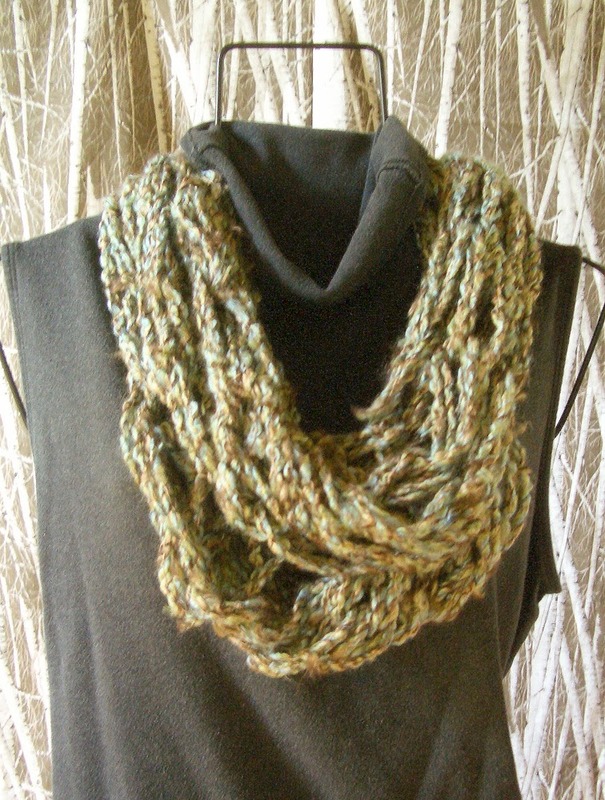 I tried making them less bulky and more colorful by incorporating yarns from my stash. Next I added some left overs from my silk tie project and then hit my bead boxes. 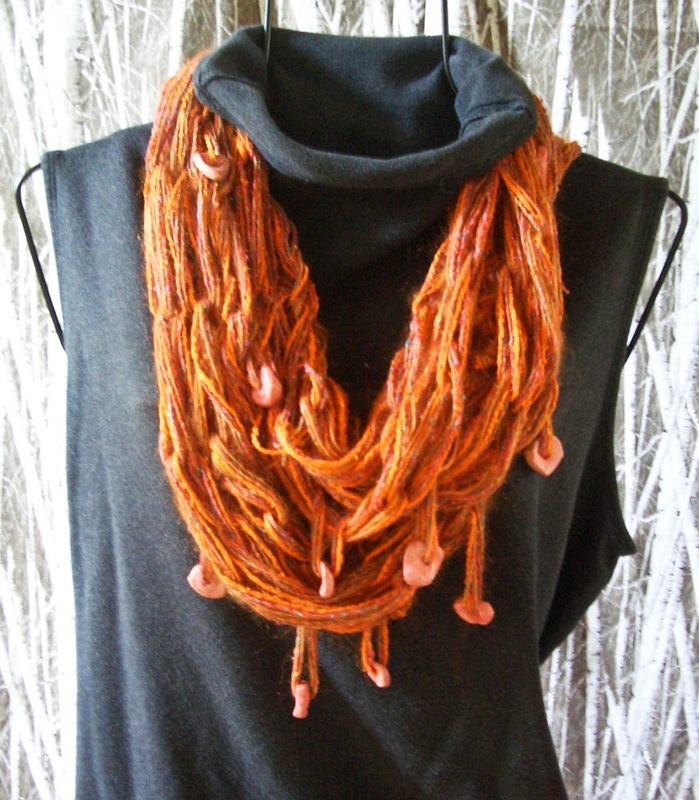 My favorite is the orange one above with pink clay beads that pull down and distort the knit. I know there is something 'out of the box' I can do with this concept of arm knitting besides...it will come to me eventually.